My attempt to get Pocahontas ended up being a bust, which is probably for the best right now. 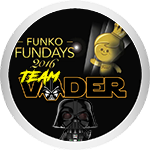 Funko Funds are at a low at the moment. But hopefully she doesn't get too out of reach! JohnnyPOP wrote: My attempt to get Pocahontas ended up being a bust, which is probably for the best right now. 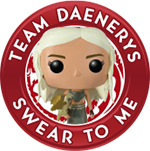 Funko Funds are at a low at the moment. But hopefully she doesn't get too out of reach! Oh nice, thank you! Maybe later on I can grab her. I am obsessed with these Rock Candy! I would love to see the other Princesses too! aussiepopgirl95 wrote: I am obsessed with these Rock Candy! I would love to see the other Princesses too! I love this line. i have been getting them in from my Amazon orders (most were out of stock when I ordered them) but they have been coming in slowly over the last week! I will be investing in Moana and Jasmine...uuuuum WHERE IS TIANA? I am ok with them leaving Merida out because I prefer to think of her as outside of the disney princess universe. Is Tiana in the movie? I wonder where the Snow White Rock Candy is too since she is in the movie. At least I thought I saw her in it. dexiesmom wrote: I love this line. i have been getting them in from my Amazon orders (most were out of stock when I ordered them) but they have been coming in slowly over the last week! yeah she is definitely in the movie, there was a whole controversy over it . maybe Funko had to resculpt to match the new animation? I think Snow White is a specialty series release. The Comfy Princesses were finally officially announced! I can't wait to get the Frozen ones. Still no sign of Merida or Cinderella though. I would find it hard to believe they won't eventuy be made. It would be odd to make so many of them only to not make two more. I'm also still hoping that a Vanellope Rock Candy is coming. She would make a great one and is at the top of my wish list for this line. 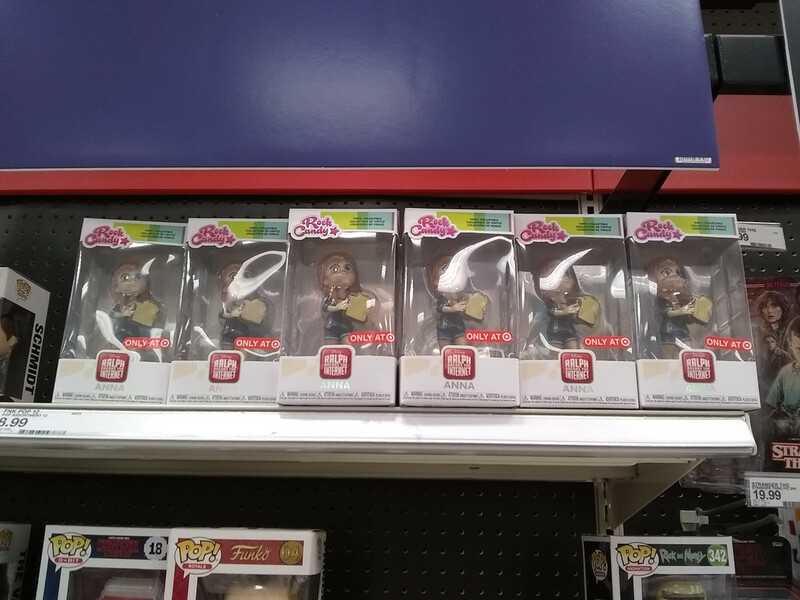 Grrrr, why must the Frozen ones be Target exclusives? Maybe Merida and Cinderella are being saved for something special. Like Funko Shop days of Christmas drops. I'm not sure how hopeful I am in finding this whole set. I have bad luck with the Funko Shop AND with Target. I know that Rock Candy aren't particularly popular, but it's still always seems to be a struggle to get anything. I think the new rock candy princesses form the wreck it ralph are awesome. I love them, but October was a brutal month for the wallet. I have to hold off. I love the playful nature of these princesses. Finally was able to order my Grady twins from target. It took forever. The Amy Pond Rock Candy is available at BBC America's online shop for $10.98. It's $14.95 at Barnes & Noble. lavery01 wrote: Finally was able to order my Grady twins from target. It took forever. Gothamite wrote: The Amy Pond Rock Candy is available at BBC America's online shop for $10.98. It's $14.95 at Barnes & Noble. I ended up grabbing her when she hit stores and she's one of my favorites for sure! xmaldigolax wrote: I will be investing in Moana and Jasmine...uuuuum WHERE IS TIANA? I am ok with them leaving Merida out because I prefer to think of her as outside of the disney princess universe. Yes! I just found her online at BBTS! Tiana too! Really? I didn't hear about that! I need to google this. I found her Rock Candy after this post and it looks super cute! allcutethings2 wrote: Maybe Merida and Cinderella are being saved for something special. Like Funko Shop days of Christmas drops. That is what I am thinking. Or they are going to be some kind of store exclusives (maybe Hot Topic) or Black Friday exclusives somewhere. THESE GRADY TWINS ARE THE ULTIMATE PERFECT CREATURES OF MY NIGHTMARES. 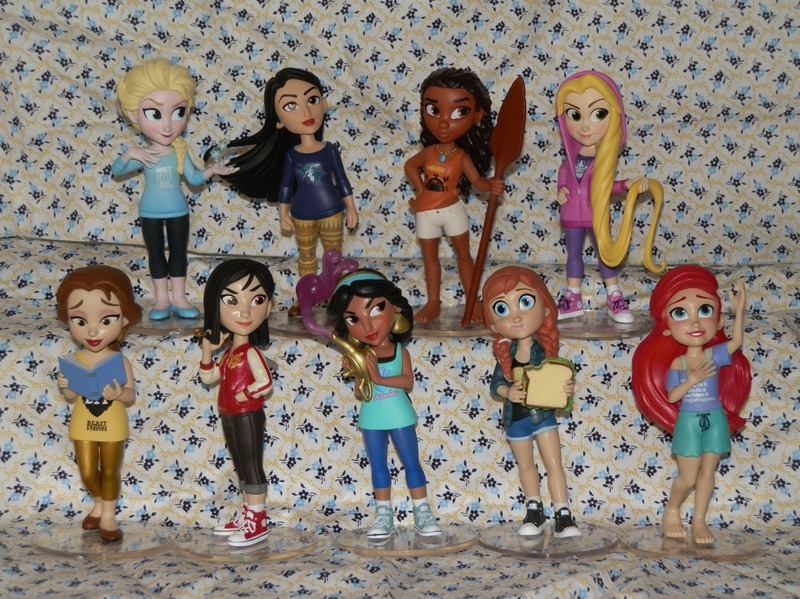 NightmareMermaid wrote: The Comfy Princesses were finally officially announced! The Grady Twins are such a great little set. My Target got a ton of Annas. Gothamite wrote: My Target got a ton of Annas. The Disney Comfy Princesses Rock Candies are $7.49 each at GameStop. 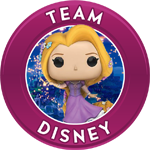 Gothamite wrote: The Disney Comfy Princesses Rock Candies are $7.49 each at GameStop. That price is amazing as I've been thinking if I need all of them or just Belle and Rapunzel. My Target didn't have either Anna or Elsa Monday night, so I was happy that I had ordered them over the weekend. They arrived today. Considering that the shipping was free, Target really stepped up their packaging. Each figure was boxed in a small carton wrapped in the nice bubble wrap (Big Bad Toy Store uses it) and then each box was inside the larger shipper with 2 pillows. Recent acquisitions. There was a GameStop near me that still had the Jessica Rabbit! Gothamite wrote: Recent acquisitions. There was a GameStop near me that still had the Jessica Rabbit! They look great! That Amy Pond is one of my favorites. Sweet this rock candy disney line is great !! Anna and Elsa are both online now. I actually ended up getting them last weekend as a gift, but thank you! I love these Disney Princesses rock candy!! I actually don't own any rock candy yet... these might just have to be my first! 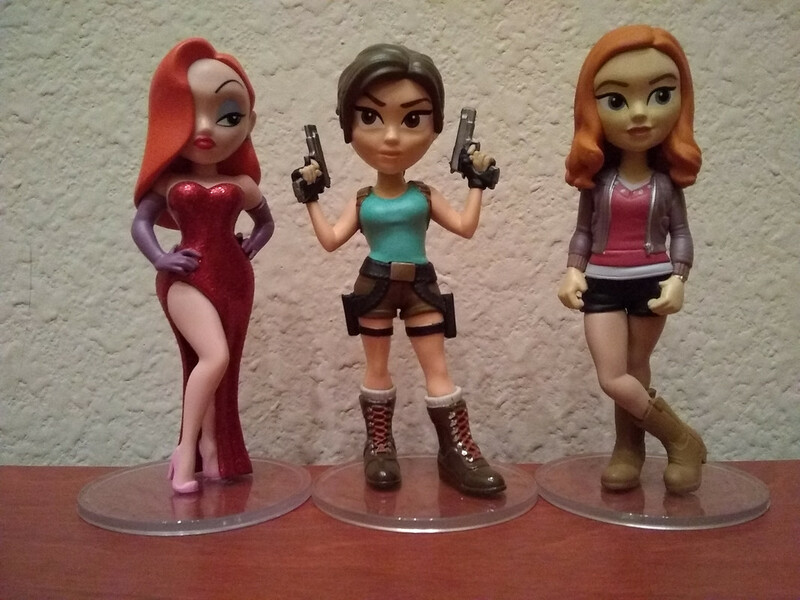 Jessica Rabbit and Lara Croft are two of my favs! My Target at 2 each of the Elsas and Annas.